Jesus Christ, Gorilla much. Cut down on the cure and Bauhaus you’re starting to sound pretty gothy. also where are the fences? 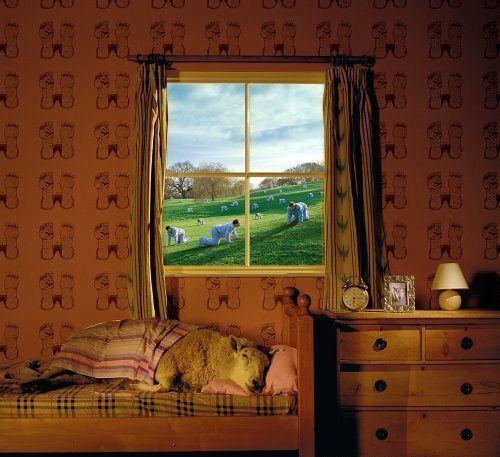 do sheep count humans when they fall asleep? No, they count their lucky stars that they survived another day as walking chops. Oh and regarding GorillaMunch, I thought “Not a very Gothy Name”, but then OHHH MUNCH. The Scream. Ahhh. I believe that’s the cover for Umphrey McGee’s album ‘Safety in Numbers’. The cover was designed by Storm Thorgerson, who has also done most of Pink Floyd’s album as well as some other artists over the years.